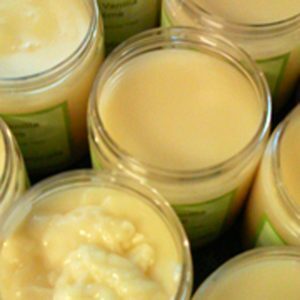 The BEST super rich moisturizing styling butter for natural twists, braids, locs and curls. Apply a small amount throughout damp or dry hair as needed to help seal in moisture. Excellent for twists, braids, locs, curls and waves. This highly moisturizing butter is very thick & concentrated so a little goes a long way. It is perfect for type 3-4 naturals:) It has a very thick concentrated butter-like consistency with the sweet smell of Madagascar Vanilla! Once you try it, you’ll be hooked! *Many of our customers also use this as a body butter! our madagascar vanilla styling butter is a luscious blend of all natural oils that will provide healthy conditioning, softness & moisture to your naturally curly hair. our super concentrated butter is legendary for softening, moisturizing and encouraging growth of natural hair. we are talking MAJOR moisture for super dry coils and curls. our super concentrated butter is legendary for softening, moisturizing and encouraging growth of natural curls. elaeis guineensis (sustainable palm oil), aloe barbadensis leaf juice, madagascar vanilla planifolia, emulsifying wax nf, ricinus conmmunis (castor) seed oil, oryza sativa (rice bran) oil, simmondsia chinesis (jojoba) oil, euphorbia cerfiera (candelilla) wax and potassium sorbate. *Use it as a hair moisturizer to naturally condition dry curls, locs & waves. *Use as a styling butter for twists, braids, afros, and locs. *Apply a small amount throughout damp or dry hair as needed to help seal in moisture. Excellent for twists, braids, locs, curls and waves.